Nostredame had vocal supporters apart from the Royal Court. In 1549 his first text ‘went public’ by hand distribution and was then published as his Prognostications for 1550, ‘prognosis’ (being the term reserved by Nostredame for his books of predictions that were mainly about the crops and seasons but there was long-term meat in them too). This writing resurfaced in 1562 due to the famous poet and friend Ronsard who pointed-up that ‘under the present governance’ some unfortunate predictions of the 12 years past had since happened. 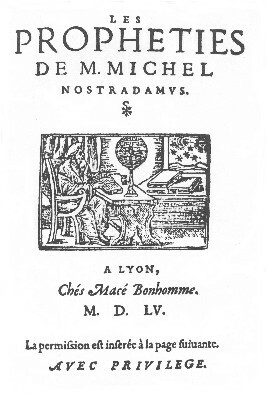 In 1570 Claud said that Nostredame wrote “mainly future evils to occur in France, concerning the change of French monarchy, of the Church and of the Catholic religion” and that “Nostradamus had several emulators in contradiction” and yet others were borrowing his name for their almanacs so prompting Nostredame to be present at a printer’s shop to add his authentication by his own hand. Haton has also mentioned the events of 1558-59 (conflict between France and Spain, the death of HRE Charles V, the death of Marie Tudor Queen of England, and the incident fatal to Henri II) and linked these to a comet of 1555/6. He referred as well to the fabled missing edition of 1558 and the Epistle to the King that accompanied publication of Century VIII, IX and X but he failed to mention the Rosne 1557 edition. Nostredame’s fashionable yet assumptive nomen ‘Nostradamus’ dates from his Almanac of 1550. The main scope of my own research is those 942 quatrains in the Centuries plus the pair of supporting epistles all as published during the 1500’s. The Centuries/Les Propheties are the works that he is now most famous for but this was not entirely true in his lifetime. His bread-and-butter business was the unnumbered quatrains and extensive prose of the Almanachs plus the Prognostications (bearing the official stamp ‘M. Nostredame’) and the Presages. For convenience, I collectivise these as ‘the periodicals of presage’ and they deserve brief mention here. The Prognostications and Almanachs were probably issued over 18 consecutive years. There was a later publication, dated 1589, entitled ‘Collection of Presages prosaic de M. Michel de Nostradame vivoit, conseillier de Magesté Roy treschrestien Charles IX’. Nostredame’s almanacs were big sellers and so were widely faked. The “October”, “November” and “December” predictions in the 1565 Thibault Bessault Almanac included very close copies of Nostradamus Quatrains I 36, V 87 and VI 24. The bulk of that almanac was forged in 1564 and then competed directly with the authentic 1565 Nostradamus publication. These popular almanacs proved catalytic as regards the rise of literacy among peasant farmers and so helped national languages to arise. The tradition had started long before with clay tablets in Babylonia and had advanced to include such diverse reading matter as the Feast Days of the Saints, best sowing times, long-range weather forecasts, self-medication/surgery and how best to write-out a legally concordant document. But their most popular reads were the astrological foresights upon such discontinuities as famines, plagues, comets, environmental extremes or any new war that lay ahead. Diary-keeping, advertising and popular journalism are all rooted in the almanac. They also played a part in P.R. history as ‘appropriate’ passages were read-out to front-line soldiers and ‘inappropriate’ ones were closely scrutinized by government officials. There have been very many post-Biblical prophets. All have had their spoken or written words interfered with to the satisfaction of politicking pressure groups. Therefore we should always seek reassurance of origin and voracity. At least 150 separate editions of the Centuries I through X have been issued up to now, originally published in broken parts as ‘Les Prophéties’ from 1555-58. They were written in crabbed and crimped poetry yet endure tantalizingly today and, once assembled into the Milliade of Ten Volumes, retell hundreds of true historic happenings by vaticinium ex eventu or remote viewing/clairvoyance (including, I have noticed, unique insights into some events that had already passed into history – Nostredame faced both ways with his ‘imaginings’). The 1555 Macé Bonhomme authorized edition, which mixes Roman and Arabic numerals in the numbering of these 353 Century I quatrains, seems to me the most authentic of all but we should bear in mind that intellectual property rights were thought little of in those days, printing was a rough art and even a particularly good edition that Nostredame might have heaped approbrium upon may not be available to us today. The famous or infamous 1568 Benoist Rigaud Edition of Nostradamus was possibly not authentically published (and yet some suspect quatrains have proved quite prophetic still). Benoist’s son Pierre was a Seventeenth Century printer-publisher credited/discredited with a 1568 edition with an eccentric number of quatrains. Other oddly twisted print-ups have certainly existed. Apparently a copy of the 1568 Rigaud edition is kept in the Berliner Staatsbibliothek under their catalogue number Na 7590. The particularly rare ‘1566 Princeps’ edition has been held up by its new private owner as the yardstick by which the known 1557 and 1568 Editions should be measured. A full facsimile is commercially available. The list is inconclusive. Although large amounts of printed papers bore the name Nostredame/Nostradamus, spread over many published editions, comparatively few have survived but do keep turning up, possibly fakes. How necessary is a crystal clear bibliography to the deeper understanding of Nostradame’s content? My own interpretation is that there are messages intended for one ‘special knower’ in the prophetic-predictive ‘Opera Nostradamus’ (it could be you) and so the entire 942 quatrains that we work with today are not all necessary to the deeper understanding of this ‘ID unknown’ personage, simply some of them. If a remaindered balance is irrelevant to Michel’s main thrust – the End Time quatrains suggesting our massed avoidance or lengthy postponement of ultimate destruction – then quite possibly there was some expeditious filling material and what does it matter that some small lines of advance branche inconsequentially? To collectors everywhere (and academic researchers in France with great libraries at their convenience, after getting around their great librarians) this is one of the most hotly disputed areas of ‘Nostradamus’ collecting. I disclaim any responsibilty for any information in any way incorrect or rendered erroneous by other findings and causing any distress to anybody anywhere. This section of this article is to give the flavour of the subject to those who might like to take this pursuit further. At the sharp end of the collector’s arrow, Les Propheties reputedly came into use in France as a common classroom reader in the Seventeenth Century possibly including ragged-eared copies from the original Lyon 1555 edition, fabuously rare today. All my references are from French Sixteenth Century printed editions except where marked otherwise. There are no known handwritten editions surviving. The foremost editions fancied by collectors seem to be the Lyon 1555 (an Albi and a Vienna copy exist) the Lyon 1557 (one Utrecht copy) the Lyon 1557 (a Budapest copy) the widely-known Lyon 1568 Rigaud compilation and the Antwerp 1590 Paris, although there may be other rarities still hidden such as the fabled Avignon 1556, Lyon 1558 or Leiden 1558.
an accessible and organized Nostradamus webpage available for ready research. I should add that the English translations inserted in there are most different to my own. There are those who say that a true translation of these quatrains should itself be poetry but Nostredame’s poesy is a kind of frame for fooling/teasing us and, anyway, it’s all fact and no fiction. Having found it completely impossible to retain Michel’s poetic structure for translations of the quatrains and still convey their intended factual content accurately, I can only presume that a linguistic interface app exists somewhere that somehow enables such a mystical conversion to take place without mortal intervention. For a more complete bibliography consult Ruzo, 1975, Chomarat, 1989, Benazra, 1990, Brind’Amour, 1993 or more recently an Internet article by Claude Latrémouille (who happens to believe that every word that Michel ever wrote is in cypher). The First Edition of All? For me it is the 1555, Lyon, Macé Bonhomme. It had the Preface to Cesar plus Century I, II and III plus 53 quatrains of Century IV as now republished by the Quebecois Pierre Brind’Amour. Century IV seems to have had a phased birthing, first as an intriguingly gapped sequence of 49 quatrains then as a run of 53 quatrains and finally as the total of 100. 1557 Utrech Antoine Du Rosne has the Preface to Cesar plus the Centuries I through VI in full and 42 quatrains of Century VII whereas the 1557 Lyon Du Rosne had the first seven Centuries plus 40 quatrains. 1558. In this strictly fabulous edition the Epistle to King Henry accompanies Century VIII, IX and X. Dedicated to “the invincible” Henri II who died at tourney the following year. 1566 Lyon Pierre Rigaud. One copy of this Edition Princeps/editio princeps is in a private collection although there is possibly another as Chomarat had referenced a ‘1566 authentic’ in his bibliography. They should be identical, of course. 1588, Rouen, Raphäel du Petit Val, contains Century I, II and III plus 49 quatrains of Century IV. In 1572 one Antoine Crespin compiled many of the Centuries but omitted any reference to quatrains from Centuries V, VI and VII. Jacques Halbronn has pointed to “the first attestation known for the quatrains belonging to another group of Centuries ignored by Crespin, namely the second half of Century IV and the Centuries V, VI and VII” appearing in an ‘anonymous almanac’ for 1581 that incidentally quotes the quatrain IV 78. 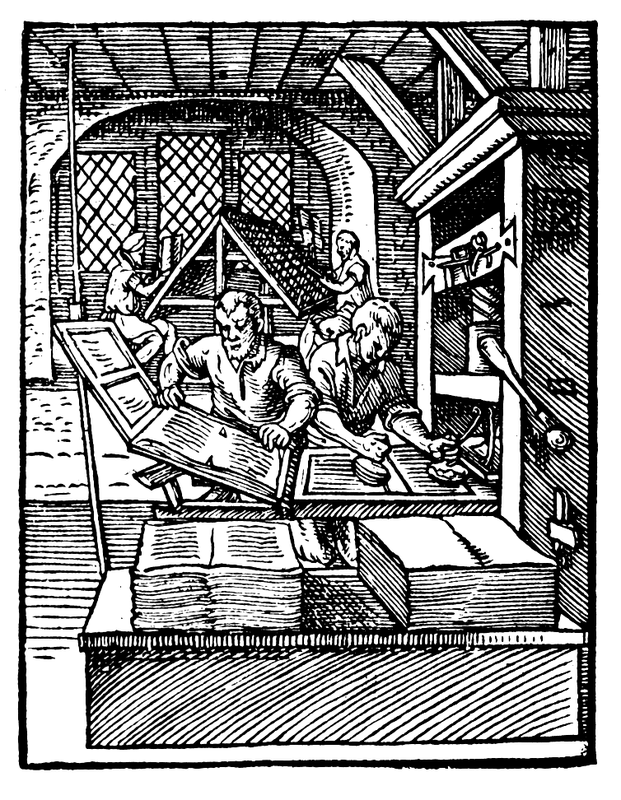 Bessault, who took over the Barbe Regnault press, forged in advance some Almanacks . Dr. Emil Gruber has mentioned that recognizable quatrains inserted in the one for 1564 reference Centuries V and VI. Apparently Chavigny may have been sent to Nostredame by Jean Dorat, a language scholar and an admirer. Together with Ronsard and du Bellay (in 1540 they published the ‘Deffense et Illustration de la Langue Françoyse’, which had virtually a ‘viral’ impact). Dorat advanced the classical direction of the French language through the group Les Pléiades. The sense of a Latinate undercarpet to the quatrains fits well to that. Whether or no Chavigny was really Secretary to Michel Nostredame seems dubious – he was already experiencing worldly successes elsewhere it seems – but we must show our gratitude to him (including for his branch of the tree that leads us down to Bernard Chevignard whose book “Présages de Nostradamus” is relevant). 1597 finds the fresh angle on the quatrain prophecies of the Centuries ‘La premiere face du Ianus François …’ by Jean-Aimé de Chavigny which was edited partly to protect the sensitivities of Papal representatives. The greater part of the works of Nostredame were in prose. The prose prophecies (selections from such as the almanacs and prognostications) were described incompletely by another manuscript by Chavigny called Recueil des Présages Prosaïques although the prose books reviewed had contained some verses that also found their way into the Recueil. Chavigny’s own printers were the Rigaud family and he must have passed over a preponderance of the Nostradamus quatrains to them although not the 58 quatrains still missing from Century VII. On his website nostradamus.org.uk the Nostradamus Researcher and Author David L. Roper deduces that they were stolen as one or two of them turned up in later editions, namely 1589, Pierre Ménier of Paris (apparently VII 73, VII 80, VII 82 and VII 83) and 1643, Claude Garcin of Marseilles (VII 43 and VII 44). 1568, Lyon, Benoist Rigaud edition is the surviving compilation of the Centuries, in 942 quatrains. But many Nostradamus researchers have doubts and feel ‘errors’ crept in which over the years have crept further with loose reproductions. The differences between Pierre Riguad’s edition at Lyon 1566 and his close relative Benoit Rigaud’s at Lyon 1568 may seem superficial to some but doubtless a French academic foray will be made into this matter one day for the sake of clarity. 1607, Lyon, Perrre Rigaud. ‘Les Pleiades’, a further Chavingy work on the Centuries and the periodicals of presage featuring Turks, comets etc. and the fearfully marvellous eclipse to come. 1609 saw the reactive ‘Error Edition’ of the Centuries. (A forgery.) In this year some possibly faked editions were printed as Benoist Rigaud and a Century text forged under the name of Pierre Rigaud, so they say. Further forgeries may have occurred from out of these. However, the attestations in the Gersaint catalogue of 1751 are still well-regarded notwithstanding so I’ll leap forward to 1861 and C’est la première publication du plus célèbre des commentateurs de Nostradamus, le curé de la Clotte, H.Volume III of ‘History predicted and adjudged by Nostradamus’ by H. Torné-Chavigny. Torne-Chavigny, pastor of Clotte. His Il s’agit du tome III de L’Histoire prédite et jugée par NostradamuLes tomes I et II paraîtront respectivement en 1862. Volume II appeared next, in 1861, and Volume I in 1862. I’ll conclude this ramble at just 6 years later in Paris, 1867, with Le Pelletier’s “The Oracles of Michel deNostradamus, astrologer, physician and adviser Ordinary Kings Henri II, Francois II and Charles IX”. The First edition included 1558-1566 texts by Pierre Rigaud and the 1568 text by Benoist Rigaud and a glossary of enigmatic words and expressions that were widely employed subsequently. The Second Edition also refers to one Benedict Rigaud. A rather dubious text. Pelletier was highly in thrall to contemporaneous fears of and for the empire under Napoleon III and this found an echo in the similar works of Charles A. Ward, a devout English royalist and impassioned snob. In addition to Videl’s outraged attack of 1558 on the corpus Nostradamus, which contains Nostradame quotations, there are a number of unambiguous contemporary references to the ‘Épître à César’ or Preface to Cesar, for which there is still no evidence that it was ever published without the 353 original quatrains. Dr. Elmar R. Gruber has voiced that Jean de Vauzelles wrote to Nostradamus about 1560 about his interpretation of III 55 as a prediction of the death of Henry II. “… there exist four distinct batches of Centuries (including the sixains) that appeared at different times and of which only the one out of them all could be allotted to Michel de Nostredame.” Jacques Halbronn, D.Litt. There is a murky aspect to the history of published editions of the Centuries that lingers worryingly. Halbronn has dismissed the earliest editions as having been faked retrospectively for political propaganda reasons. This has met with a rebuff from others who claim he did not read carefully enough. This in turn may be because Halbronn, although sometimes sweeping broadly with one eye to the headlines, was a little more selective than some people realized, perhaps having not read M.Halbronn too carefully. Not only did he acknowledge that a text alone is difficult if not impossible to date in the prophecies but he accorded Michel Nostredame great powers by stating that a Prophet such as Nostredame is possibly ‘anachronic’ in his prophetic choice of words. That is, somehow outside of time. The 1568 edition by Benoit Rigaud (two years after the death of Nostredame and the latest that I translate from ordinarily) has been dismissed altogether by one lover of early printed works who has his own unique rendition to promote. Others support this 1568 edition but claim that Benoit Rigaud’s sons faked Nostradamus like crazy. Because of that and from a feeling about it all, I feel obliged to be residually cautious about the family name Rigaud in this context. They differ greatly from the 1568 Rigaud and the Du Rosne editions and may or may not have been written by Michel Nostredame. Basically it is unsafe to assume that Michel wrote every published verse attributed to him, even in his lifetime (especially those found in England). A 1590 edition by Francois de Sainct Jaure of Antwerp claims itself to be a copy of the ‘Pierre Roux edition of 1555’. Leoni helpfully points out that the Preface to Cesar does indeed have the same year, 1555, it actually bears a later dateline than this ‘Roux edition’. In 1597 ‘La premiere face du Ianus François …. “ by Jean-Aimé de Chavigny was distributed. It has been pointed out that a marginal note for the selection from 1558 quotes Nostradamus: “Il dit ailleurs, Sa grande charge ne pourra soustenir, & Grand camp malade, & defait par embuches” amounts to a combined reference to VI 13 and VI 99. Robert Benazra is both a Nostradamus and a Kaballah expert. There is a connection. Counterintuitively, the Kaballah of Jewish mysticism and the study of its traditions thrived and grew in southern France before moving its centre of gravity to Galilee in the Sixteenth Century. He speaks of “new interpretations of the cosmological drama in the brilliant intuitions of our Sixteenth Century Kabbalists” and has found two new first editions from 1555 and three second editions from 1557 – from as far afield as Budapest and Moscow – and republished them for us. It’s not impossible that a matching Latin edition may also have been published in 1555 although Chavigny would probably have referred to this in his La Premier Face du Ianus. It has been floated for debate that the quatrains are Nostredame’s own conversions of original lines by him in Latin. Another idea floated is that Queen Catherine entrained a court publisher to do business with Michel Nostredame on his visit to Paris, Summer of ’55, which could well have daunted a commoner-author into allowing extensive external editing which would point to an interesting missing edition, say in 1556. If Halbronn were right that it is impossible from textual content alone to date quatrains (T.W.M. Berkel the investigative astrologer may disagree with this) then we could go on arguing indefinitely. I’ve identified the major players in all this table-talk but there are still others. These folk claim things like the Prophecies were all published in Lyon in 1555 ‘57and ’58 (as all three are mentioned in a pirated Paris edition of 1561) and reprinted in Paris in 1556 ’57 and ’58 and also reprinted from 1559 to 1560 in Avignon under a different name and with modifications and surely in 1563 a pirated Paris edition was translated into English and published in London. Effectively this added Century VIII through Century X in their entirety (plus two additional quatrains for VII) to the Bonhomme 1555 edition and Du Rosne print of 1557. The first part comprised all of the two previous editions together with the Preface to César. The second part consisted of three new Centuries of a hundred verses each and was preceded by a dedication to Henry, King of France Second, the Epistle to the King. Tellingly, this edition was brought out under the direction and supervision of Brother Jean Vallier of the monastery of the Mineurs Conventuals, with the permission of his ecclesiastical superiors. Since then there have been many authors who have sought to explain the 942 quatrains one by one in numerical order, despite the illogicality of it as they had all been mixed up by Michel Nostredame in the first place and 58 are missing. Peƒte & nouueau inƒult, enclos troubler. Aix & les lieux fureur dedans mordra. Puis les Phocens viendront luer mal doubler. ‘Manthi and the third to come’ remain a mystery. The first edition known outside those of the Rigaud’s that contains Nostradamus Century VIII through X was not to appear for many years and the three publications of Barbe Regnault, namely an edition of the Centuries, an almanac and prognostication, that should have flowed from 1560 to 1562, were not published at that time but several decades later. Regarding the rumoured volume of seven of the Centuries there was only the 1590 Antwerp edition, with a title already used by the Rouen editions, and in which Century VII consisted of a mere 35 quatrains. The first edition of this grouping might have been published by the famous Jacques Rousseau in Cahors in the South West. Alors subjugera sous soy tout l’univers. Line 1, OF ‘fourchu’ is a fork or cleft although figuratively it meant bent toward, partial, unjust, biased. OF ‘paux’ is similar to the English word paling. Line 2, OF ‘corps’ is corpse or a part of a living body or a frame. It’s visible. OF ‘siseau’ was a gesture of contempt used in Western Europe or relates to the action of the crossbow. In Modern French ciseau is a chisel and ciseaux are scissors. The common denominator seems to be the shape of open scissors and, indeed, the text confirms ‘sizeaux ouverts’. Line 3, OF ‘heritier’ is the heir to an inheritance or heritage or that which assuredly will come. OF ‘crapaux’ is possibly ‘crapaud’, toad (the King of the Franks had three heraldic toads – but they became armigerous only retrospectively) whereas ‘crapeux’ is encrusted but all other ‘crap+suffix’ words meant riff raff, no-goods, ne’er-do-wells, nobodies (peasants, don’t y’know?). He will then subject the entire world to himself. A fork-shape with two palings, how does that look? IYI or VII? YVV or M? It seems most likely to be either VII or M, especially M.
A hammer-production coin could easily have a Y-shaped numeral rendering the ‘III’ similar to ‘YII’, and so on, because it was of a minutely irregular diameter produced by hand-hammering. The planchet could splay the top crossbar of the Roman numeral ‘I’ to a degree and some were indeed produced like this. In ancient days two upright posts with stetchers in a crossed X-shape was the symbol for man and Mankind (which in Sanskrit was Manu and in Indo-European Manus whilst Horus was Egyptian Saviour of the Manes). This resembled the runic and modern letter M. It had various meanings hinged around differing acts of intersection, social and spiritual. A ‘demy-corps’ could be many visible things. If we assume O to represent a body, as an astrologer might well do, then C fits the bill. Open scissors is obviously X. Of course, to lay out the shapes we had to use only capital letters and that fits nicely to the Roman numeric system. In agreement with most other researchers, the figure we too arrive at is M(1000) + 6C + 6X = 1660 and that would be the very year that British exile Charles (absentee King of Scotland) was restored to the British throne at the request of the parliament. Cromwell, a dictator who had himself crowned like a king, died in 1658 leaving the possibility open for King Charles II to be crowned upon his return from France. He rode on horseback into London on May 29th 1660 for his coronation. I feel that Nostredame’s world view was Monarch-centric and he might even have seen a common parliament as a rabble. After all, he was an honourable associate of the French Royal Court and its doomed upper aristocracy. The universe of Charles II could be delimited, I suppose, to the combination of England, Wales, Scotland and Ireland. Yet although he negotiated wide-reaching powers for the restored Sovereignty these are unlikely ever to be exercised. The King reigns, Parliament rules. The British Royal Family is really there to deflect the love of the people away from the elected politicians and provide some non-politicized continuity: somehow a big democratic plus. If Charles was at all dominant over parliament it was by dint of a personality forged in adversity and against the flavour of the times, not by entitlement alone. Likewise, the uncrowned monarch of Nostradamus who is yet to arrive. However, if the word ‘forchue’ figuratively meant 66, somehow, we could fit a paling on either side to get 1661 in accord with Charles A. Ward’s statement (defective by deducing the fulfilling year as 1660 then attaching to it the death of Mazarin) that this is about French King Louis XIV who only rose over Mazarin’s dead body in 1661 and then steered absolute monarchy to its greatest heights. Michel de Nostredame once wrote that he first composed over a thousand quatrains but culled the fold back to more modest proportions. We may not have them all now but we have, with the epistles, enough to describe the dreadful End Time sufficiently for us to change our wicked ways in time!